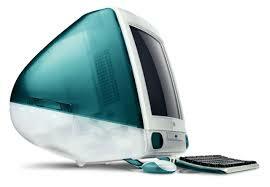 I am going to buy an old iMac G3 Over the next couple of days/weeks, and I want to make sure that I am buying a system with no problems. I usually ask for the serial number and good pictures before buying, but I want to know what to do when I physically meet the person I decide to buy from. What should I do when with the buyer to test the system to know what defects it may have? The system would either be running Mac OS 8 or 9 (classic), or OS X. If there is a set of things I should do, or a program I should run what would that be? Cosmetic & mechanical condition: I prefer clean & undamaged cases, keyboards, mouse, etc. Of course, dirt and grime is usually present but easily removed. However, cleanliness is also a good indication of proper storage. Operational condition: Does it turn on and boot up. If the internal HD is not working, can you at least boot from external media (floppy, or CD-ROM installer disk in the case of the iMac). Specifications: I like to know what's inside the box before I buy it. For many machines this means popping the lid and having a look inside. Not all sellers have patience for this, but most will not care, if the case is easily opened. For an iMac, forget about opening it, but you can look at the System Profiler to see all the details of the internal electronics. Of course, you could spend a lot of time quizzing the seller about the history of the machine and trying to pick their brain to see what they can remember about it. This can be entertaining, but its ultimately unnecessary once you confirm the above 3 items. As with any purchase, if the price seems too high, or you feel insecure about the purchase, then just pass. There will be others. Not the answer you're looking for? Browse other questions tagged hardware software apple mac-os-classic imac-g3 or ask your own question.